Filmmaker Madhur Bhandarkar has started the shooting of his international film titled 'Mumbai Mist'. The director himself has disclosed the news through Twitter: "#EarlyMorningShift for the Shoot of International project #MumbaiMist for the BRICS Film Festival." The story of Mumbai Mist revolves around an old man and an orphan kid. 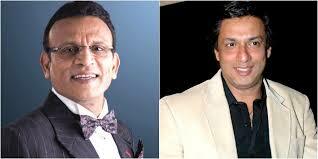 Bollywood actor Annu Kapoor is playing the role of the old man in Madhur Bhandarkar's film Mumbai Mist. The film is based on the 21 months Emergency Era in India during 1976 to 1977. Actor Parvin Dabas is working with Bhandarkar on the movie. Other actors in the film Mumbai Mist are Anupam Kher, Neil Nitin Mukesh, Kirti Kulhari and Tota Roy Choudhury.